Jean-Pierre Léaud, ComM (French: [ʒɑ̃pjɛʁ le.o]; born 28 May 1944) is a French actor, best known for playing Antoine Doinel in François Truffaut's series of films about that character, beginning with The 400 Blows (Les Quatre Cents Coups, 1959). He also worked several times with Jean-Luc Godard, and is a significant figure of the French New Wave. Born in Paris, Léaud made his major debut as an actor at the age of 14 as Antoine Doinel, a semi-autobiographical character based on the life events of French film director François Truffaut, in The 400 Blows. To cast the two adolescents, Truffaut published an announcement in France-Soir and auditioned several hundred children in September and October 1958. 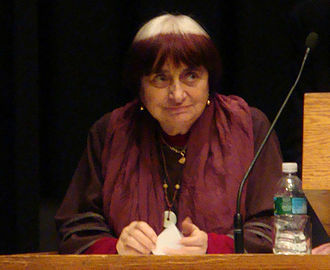 Jean Domarchi, a critic at Cahiers du cinéma, had earlier recommended the son of an assistant scriptwriter, Pierre Léaud, and the actress Jacqueline Pierreux. Truffaut was immediately captivated by the fourteen-year-old adolescent, who had already appeared with Jean Marais in Georges Lampin's La Tour, prends garde ! (1958). He recognized traits they both shared, "for example a certain suffering with regard to the family...With, however, this fundamental difference: though we were both rebels, we hadn't expressed our rebellion in the same way. I preferred to cover up and lie. Jean-Pierre, on the contrary, seeks to hurt, shock and wants it to be known...Why? Because he's unruly, while I was sly. Because his excitability requires that things happen to him, and when they don't occur quickly enough, he provokes them". :129 In his final interview, Truffaut mentioned he was happy with how Léaud improvised within the flexibly written script. Throughout the production of The 400 Blows (Les Quatre Cents Coups, 1959), wrote Jay Carr "Truffaut would take Léaud to see rushes of Godard's Breathless each evening. They'd sit up late talking film with Godard, Rivette, Rohmer, Eustache, Orson Welles." Upon the filmmaker's death, the actor reminisced Truffaut was the first person he admired and that he "spoke to children like they were adults. He realized that children understood things better than adults did. He was purely intuitive. We operated in a sort of complicity." During and following the filming of The 400 Blows, Truffaut's concern for Léaud extended beyond the film set. He took charge of the difficult adolescent's upbringing after Léaud was expelled from school and kicked out of the home of the retired couple taking care of him. Truffaut subsequently rented a studio apartment for Léaud. 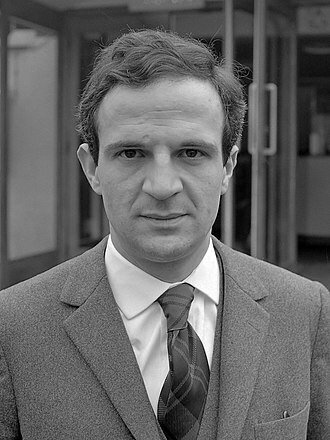 Truffaut also hired him for assistant work on The Soft Skin (La peau douce, 1964) and Mata Hari, Agent H21 (1964). Léaud at the 2016 Cannes Film Festival. Léaud starred in four more Truffaut films depicting the life of Doinel, spanning a period of 20 years—after the short-film Antoine et Colette in 1962—beside actress Claude Jade as his girlfriend, and then wife, Christine. Those films are Stolen Kisses (1968), Bed and Board (1970) and Love on the Run (1979). Truffaut stated that Léaud was the source of inspiration for the Antoine Doinel character and "I created some scenes just because I knew he would be funny in them—at least I laughed during the writing as I thought of him." He also collaborated with Truffaut on non-Antoine Doinel films like Two English Girls (Les Deux Anglaises et le Continent, 1971) and Day for Night (La Nuit américaine, 1973) and became the actor most commonly affiliated with him. Although Antoine Doinel is his most familiar character, he often found his performances in other films to be compared to his Doinel character whether there were legitimate similarities or not. Léaud is one of the most visible and well-known actors to be associated with the French New Wave film movement and, aside from his work with Truffaut, collaborated with Jean-Luc Godard (nine films), Jean Eustache, Jacques Rivette and Agnès Varda. The early 1970s was perhaps the peak of his professional career when he had three critically acclaimed films released: Bertolucci's Last Tango in Paris (1972), Truffaut's La Nuit américaine, and Eustache's The Mother and the Whore (both 1973). In the Bertolucci film, Léaud appeared in the same film as a hero of his, Marlon Brando, although the two men never met, since all of Léaud's scenes were shot on Saturdays and Brando refused to work on Saturdays. In March 1966, Léaud won the Silver Bear for Best Actor at the 16th Berlin International Film Festival for his role in Jean-Luc Godard's Masculin, féminin. He was nominated for a César Award for Best Supporting Actor in 1988 for Les Keufs and was awarded an Honorary César for lifetime achievement in 2000. 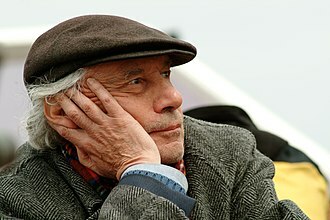 Léaud acted in films by other influential directors, such as Pier Paolo Pasolini, Jerzy Skolimowski, Aki Kaurismäki and Olivier Assayas and Tsai Ming-liang. He is married to the French actress Brigitte Duvivier. (1961) Nominated for the BAFTA Film Award for being the "Most Promising Newcomer to Leading Film Roles" for his role in The 400 Blows (1959). (1966) Won the Silver Bear for Best Actor at the Berlin International Film Festival for his role in Masculin Féminin. (1987) Nominated for César Award for Best Supporting Actor at the César Awards for his role in the film Les keufs. (1996) Won "Best Actor" at the Thessaloniki Film Festival for his role in Pour rire! 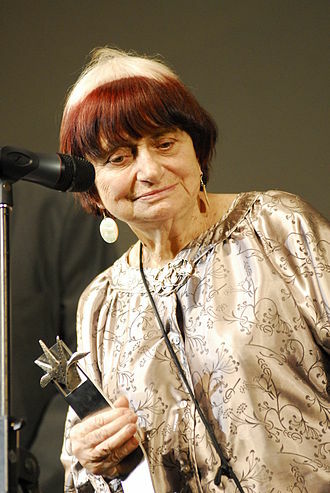 (2000) Received the Honorary César at the César Awards. (2001) Shared the FIPRESCI Prize with Bertrand Bonello for his role in The Pornographer. (2017) Won the Lumières Award for Best Actor for his role in The Death of Louis XIV. ^ a b c d e Baecque, Antoine de; Toubiana, Serge (4 September 2000). Truffaut. University of California Press. p. 129. ISBN 978-0-520-22524-4. Retrieved 29 March 2011. ^ a b Brody, Richard. "Truffaut's Last Interview". The New Yorker. Condé Nast. Retrieved 29 January 2016. ^ a b Carr, Jay. "Jean-pierre Leaud Going It Alone With Loss Of Father-protector". The Chicago Tribune. Tribune Publishing. Retrieved 29 January 2016. ^ Brody, Richard (2008). Everything Is Cinema: The Working Life of Jean-Luc Godard (First ed.). New York: Metropolitan Books / Henry Holt and Company, LLC. p. 256. ISBN 9780805068863. Retrieved 29 January 2016. ^ "Essay on Léaud's career". Archived from the original on 2010-01-27. ^ Monaco, James (1978). Celebrity: the media as image makers. Dell Pub. Co. p. 140. ISBN 978-0-440-50991-2. Retrieved 29 March 2011. ^ "Berlinale 1966: Prize Winners". berlinale.de. Retrieved 2010-02-24. ^ Lounas, Thierry. "- Interview : JEAN-PIERRE LEAUD – " Il me faut la caméra. Dans la vie, il n'y a pas de caméra et je deviens ennuyeux. "". Sofilm. Retrieved 29 January 2016. ^ "Cidadãos Estrangeiros Agraciados com Ordens Portuguesas". Página Oficial das Ordens Honoríficas Portuguesas. Retrieved 31 July 2017. Wikimedia Commons has media related to Jean-Pierre Léaud. The Soft Skin is a 1964 French-Portuguese romantic drama film directed by François Truffaut and starring Jean Desailly, Françoise Dorléac, and Nelly Benedetti. Written by Truffaut and Jean-Louis Richard, the film is about a successful married publisher and lecturer who meets an air hostess with whom he has a love affair. 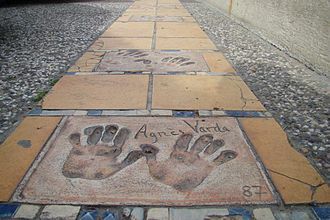 The film was shot on location in Paris and Lisbon, at the 1964 Cannes Film Festival, the film was nominated for the Palme dOr. Despite Truffauts recent success with Jules and Jim and The 400 Blows, Pierre Lachenay, a well-known writer and editor of a literary magazine, is running late for his flight to Lisbon. His friend gives him a ride to the airport, with his daughter Sabine going along for the ride, on the airplane he makes eye contact with a beautiful air hostess named Nicole. Upon landing, he is greeted by photographers who ask that he pose with the air hostess, Pierre checks in at the Hotel Tivoli, and leaves to attend a conference. As hes walking through the lobby he notices Nicole walking past him, at the conference he gives a talk titled Balzac and Money based on one of his books. Back at the hotel, he sees Nicole in the elevator, in his room he calls her room and asks if shed like a drink, but she declines because of the late hour. Shortly after hanging up, Nicole calls back, the next evening and Nicole spend hours talking through the night. She is captivated by his stories of Balzac and the world of literature, in the morning they return to the hotel and make love in her room. On the airplane the day, Nicole slips him a matchbook with her phone number. Back in Paris, while he and his wife Franca entertain friends, Pierre sneaks off and tries calling Nicole, the next day he tries again from a phone booth, and this time he gets through, and they meet briefly. In the coming days, they spend time together between her flights, one day they meet at the airport and decide to spend the evening at a nightclub, ending up at her apartment where they make love. Later that week and Nicole travel to Reims where Pierre is scheduled to present a showing of the 1952 documentary film about André Gide at a conference and they check into the Hotel Michelet before Pierre heads over to the theater. Breathless is a 1960 French film written and directed by Jean-Luc Godard about a wandering criminal and his American girlfriend. It was Godards first feature-length work and represented Belmondos breakthrough as an actor, Breathless was one of the earliest, most influential examples of French New Wave cinema. Together with François Truffauts The 400 Blows and Alain Resnaiss Hiroshima, Mon Amour, at the time, the film attracted much attention for its bold visual style, which included unconventional use of jump cuts. A fully restored version of the film was released in the U. S. for its 50th anniversary in May 2010, when originally released in France, the film attracted over 2 million viewers. Michel is a criminal who is intrigued with the film persona of Humphrey Bogart. After stealing a car in Marseille, Michel shoots and kills a policeman who has followed him onto a country road. Penniless and on the run from the police, he turns to an American love interest Patricia, a student and aspiring journalist, the ambivalent Patricia unwittingly hides him in her apartment as he simultaneously tries to seduce her and call in a loan to fund their escape to Italy. Patricia says she is pregnant, probably with Michels child and she learns that Michel is on the run when questioned by the police. Eventually she betrays him, but before the police arrive she tells Michel what she has done and he is somewhat resigned to a life in prison, and does not try to escape at first. The police shoot him in the street and, after a prolonged death run, Michels death scene is one of the most iconic scenes in the film, but the films final lines of dialogue are the source of some confusion for English-speaking audiences. In some translations, it is unclear whether Michel is condemning Patricia, as Patricia and Detective Vital catch up with the dying Michel, they have the following dialogue, MICHEL, Cest vraiment dégueulasse. VITAL, Il a dit que vous êtes vraiment une dégueulasse, in the English captioning of the 2001 Fox-Lorber Region One DVD, dégueulasse is translated as scumbag, producing the following dialogue, MICHEL, Its disgusting, really. VITAL, He said, Youre a real scumbag, the 2007 Criterion Collection Region One DVD uses a less literal translation, MICHEL, Makes me want to puke. Jerzy Skolimowski is a Polish film director, screenwriter and actor. A graduate of the prestigious National Film School in Łódź, Skolimowski has directed more than twenty films since his 1960 début Oko wykol, in 1967 he was awarded Golden Bear for his film Le départ. His famous film is Deep End, jane Asher and John Moulder Brown acted in Deep End. He lived in Los Angeles for over 20 years where he painted in a figurative, expressionist mode, more recently, he returned to Poland, and to film making as a writer and director after a 17-year hiatus with Cztery noce z Anną in 2008. He received the Golden Lion Award for Lifetime Achievement at the 2016 Venice Film Festival, Skolimowski was born in Łódź, the son of Maria and Stanisław Skolimowski, an architect. He often recognized indications in his work to a childhood ineradicably scarred by the War, as a small child he witnessed the brutalities of war, even having been rescued from the rubble of a bombed-out house in Warsaw. His father, a member of the Polish Resistance, was executed by the Nazis and his mother hid a Jewish family in the house and Skolimowski recalls being required to take candy from the Nazis to maintain appearances. After the war, his became the cultural attaché of the Polish embassy in Prague. His fellow pupils at school in Poděbrady, a spa town near Prague, included future film-makers Miloš Forman and Ivan Passer, Skolimowski was considered as a trouble maker at school as he was the origin of many pranks which angered the authorities. At college he studied ethnography and literature and took up boxing, Skolimowskis interest in jazz and association with composer Krzysztof Komeda brought him into contact with actor Zbigniew Cybulski and directors Andrzej Munk and Roman Polanski. In his early twenties Skolimowski was already a writer, having published several books of poems, short stories, Skolimowski was not impressed and dismissed the script. However, in response to a challenge by Wajda, he produced his own version became a basis for the finished film, Innocent Sorcerers. Skolimowski enrolled in the Łódź Film School with the intention of avoiding the long apprenticeship required before graduating to feature film direction, while scoring poorly in course work Skolimowski had a finished feature film by the end of the course. Pier Paolo Pasolini was an Italian film director, poet and intellectual. Pasolini distinguished himself as an actor, philosopher, playwright and his murder prompted an outcry in some circles of Italy, with its circumstances continuing to be a matter of heated debate. Pasolini was born in Bologna, traditionally one of the most leftist politically of Italian cities and he was the son of Carlo Alberto Pasolini, a lieutenant of the Italian army, and Susanna Colussi, an elementary school teacher. His parents married in 1921, Pasolini was born in 1922 and his family moved to Conegliano in 1923 and, two years later, to Belluno, where another son, was born. In 1926, Pasolinis father was arrested for gambling debts and his mother moved with the children to her familys house in Casarsa della Delizia, in the Friuli region. That same year, his father Carlo Alberto, first detained, at any rate, Carlo Alberto was persuaded of the virtues of fascism. Pasolini began writing poems at the age of seven, inspired by the beauty of Casarsa. One of his influences was the work of Arthur Rimbaud. In 1931, his father was transferred to Idria in the Julian March, in 1933 they moved again to Cremona in Lombardy, and to Scandiano and Reggio Emilia. Pasolini found it difficult to adapt to all moves, though in the meantime he enlarged his poetry and literature readings. In the Reggio Emilia high school, he met his first true friend, the two met again in Bologna, where Pasolini spent seven years while completing high school, here he cultivated new passions, including football. With other friends, including Ermes Parini, Franco Farolfi, Elio Meli, in 1939 Pasolini graduated and entered the Literature College of the University of Bologna, discovering new themes such as philology and aesthetics of figurative arts. He frequented the cinema club. Pasolini always showed his friends a virile and strong exterior, totally hiding his interior travail and he took part in the Fascist governments culture and sports competitions. In his poems of this period, Pasolini started to include fragments in Friulan, I learnt it as a sort of mystic act of love, a kind of félibrisme, like the Provençal poets. Claude Marcelle Jorré, better known as Claude Jade, was a French actress. 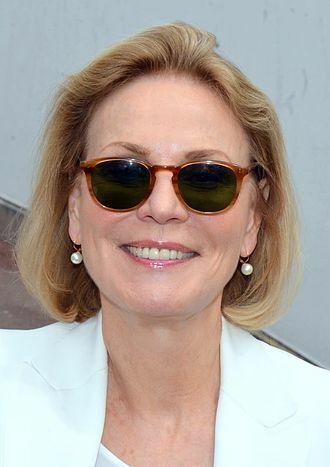 She is known for starring as Christine in François Truffauts three films Stolen Kisses and Board and Love on the Run, Jade acted in theatre and television. Her film work outside France included the Soviet Union, the United States, the daughter of university professors, Jade spent three years at Dijons Conservatory of Dramatic Art. In 1964 she played on stage 40 times the part of Agnès in Molières Lécole des femmes, in 1966 she won the Prix de Comédie for Jean Giraudouxs stage play Ondine, performed at the Comédie Boulogne. She moved to Paris and became a student of Jean-Laurent Cochet at the Edouard VII theater, while performing as Frida in Pirandellos Henri IV, in a production by Sacha Pitoëff at the Théâtre Moderne, Jade was discovered by New Wave film director François Truffaut. He was completely taken by her beauty, her manners, her kindness, and her joie de vivre, during the filming, Truffaut fell in love with her, and there was talk of marriage. American critic Pauline Kael wrote that Jade seems a less ethereal, playing the same character, Jade appeared in two more movies by Truffaut and Board, and Love on the Run. 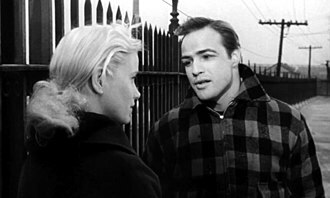 Some months after Truffauts Stolen Kisses Claude Jade starred in Alfred Hitchcocks Topaz, as Michèle Picard, recommended to Hitchcock by Truffaut, she was 19 years old when cast, with Dany Robin playing her mother. Hitchcock said he chose the two actresses to provide glamor, and quipped, Claude Jade is a quiet young lady. Jade recounted that they talked in a Paris hotel about cooking, and I gave him my recipe for soufflé and told him I liked Strangers on a Train, Hitchcock said she resembled his former star Grace Kelly, and in France she was a younger Danielle Darrieux. Some of her scenes were deleted and restored for the cut of Topaz in 1999. Topaz was Jades only Hollywood film, universal Pictures offered her a seven-year contract, which she turned down reportedly because she preferred to work in French. Director Tony Richardsons film Nijinsky, based on a screenplay by Edward Albee, was canceled during pre-production by producer Harry Saltzman and it was to have starred Jade as Vaslav Nijinskys wife, alongside Rudolf Nureyev as Nijinsky and Paul Scofield as his lover Sergei Diaghilev. Jean Eustache was a French filmmaker. Each film went to the end of its material, from real to fictional sorrow and it was impossible for him to go against it, to calculate, to take cultural success into account, impossible for this theoretician of seduction to seduce an audience. Jim Jarmusch dedicated his 2005 film Broken Flowers to Eustache, Eustache was born in Pessac, France into a working class family. After becoming a filmmaker, Eustache maintained close ties to his friends, in 1981, he was partially immobilized in an auto accident. He killed himself by gunshot in his Paris apartment, a few weeks before his 43rd birthday, Eustache had a son, Boris Eustache, who worked on his fathers second feature and appears as an actor in Eustaches short film Les Photos dAlix. Eustache was quoted as saying, “The films I made are as autobiographical as fiction can be. ”Because of his reluctance to discuss his personal life, the Mother and the Whore, the first, is a 217-minute rumination on love, relationships and women. Tsai Ming-liang is a Malaysian Chinese filmmaker. He has written and directed 10 feature films and has directed many short films. Tsai is one of the most celebrated Second New Wave film directors of Taiwanese cinema and his films have been acclaimed worldwide and have won numerous film festival awards. 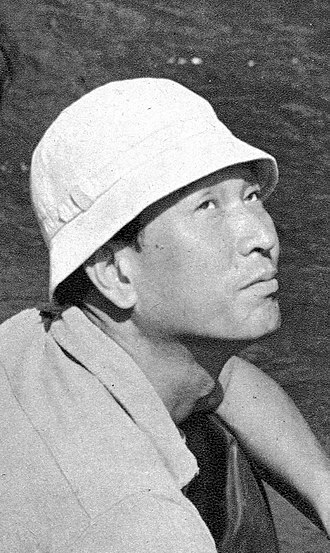 Tsai was born in Malaysia of Chinese ethnic background and spent his first 20 years of his life in Kuching, after which he moved to Taipei and this, he said, had a huge impact on mind and psyche, perhaps mirrored in his films. Even today, said Tsai, I feel I belong neither to Taiwan nor to Malaysia, in a sense, I can go anywhere I want and fit in, but I never feel that sense of belonging. Tsai graduated from the Drama and Cinema Department of the Chinese Culture University of Taiwan in 1982 and worked as a producer, screenwriter. From 1989 to 1991, he directed several telefilms, two of these, All the Corners of the World and Boys, starred his muse, Lee Kang-sheng. Tsais first feature film was Rebels of the Neon God, a film about troubled youth in Taipei, it starred Lee as the character Hsiao-Kang. Lee went on to appear in all of Tsais feature films through 2013, Tsais second feature, Vive LAmour, is about three people who unknowingly share an apartment. The film is slow-paced, has little dialogue, and is about alienation, Vive LAmour was critically acclaimed and won the Golden Horse Awards for best picture and best director. Tsais next film was The River, in which a family has to deal with the neck pain. The family is similar to the one appears in Rebels of the Neon God and is played by the same three actors. The Hole is about two neighbors in an apartment, in Tsais next film, What Time Is It There. A man and a meet in Taipei before the woman travels to Paris. This was Tsais first film to star Chen Shiang-chyi, who would star in his few films alongside Lee. Goodbye, Dragon Inn is about people inside an old cinema that is closing down, for this film, Tsai included even longer shots and fewer lines of dialogue than in previous films, a trend that continued in his work. The Wayward Cloud is a sequel to What Time Is It There, in which Hsiao-Kang and Shiang-chyi meet again and start a relationship while Hsiao-Kang works as a pornographic film actor. Jean-Alfred Villain-Marais, known as Jean Marais, was a French actor, writer and sculptor. He performed in over 100 films and was the muse of acclaimed director Jean Cocteau, in 1996, he was awarded the French Legion of Honor for his contributions to French Cinema. A native of Cherbourg, Marais was a son of Alfred Emmanuel Victor Paul Villain-Marais and his wife, in 1933, Marais was discovered by filmmaker Marcel LHerbier who purchased one of his paintings, cast him in two films LÉpervier and LAventurier. Marais starred in movies directed by Jean Cocteau, for a time his lover and a lifelong friend, most famously Beauty. In the 1950s, Marais became a star of swashbuckling pictures, in the 1960s, he played both the famed villain and the hero of the Fantômas trilogy. 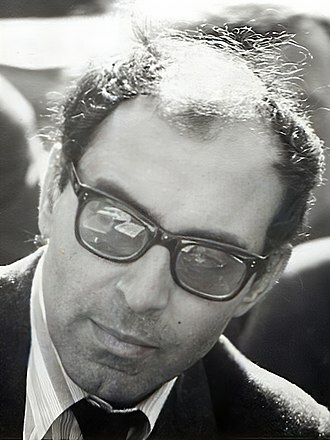 In 1963, he was a member of the jury at the 3rd Moscow International Film Festival, after 1970, Maraiss on-screen performances became few and far between, as he preferred concentrating on his stage work. He performed on stage until his eighties, working as a sculptor and his sculpture Le passe muraille can be seen in the Montmartre Quarter of Paris. In 1985, he was the head of the jury at the 35th Berlin International Film Festival and he was featured in the 1995 documentary Screening at the Majestic, which is included on the 2003 DVD release of the restored print of Beauty and the Beast. Marais appears on the sleeve of The Smiths single This Charming Man. He was married for two years to the actress Mila Parély, with whom he performed in Cocteaus Beauty. Marais, who was bisexual, was the muse and lover of Jean Cocteau until Cocteaus death, after Cocteaus death, Marais wrote a memoir of Cocteau, LInconcevable Jean Cocteau, attributing authorship to Cocteau-Marais. He wrote an autobiography, LHistoire de ma vie, published in 1975, from 1953 until 1959, his companion was the American dancer George Reich. In the early 1960s, Marais adopted a young man, Serge Ayala and this adopted son, who became a singer and an actor, committed suicide in 2012 at age 69. Marais died from disease in Cannes, Alpes-Maritimes, in 1998. He is interred there at Vallauris cemetery and his life story became the inspiration for the 1980 François Truffaut film The Last Metro. The Pont de Bir-Hakeim in Paris, where numerous scenes were shot. Les Deux Magots was a setting and filming location. Roman Polanski, winner of the Golden Bear at the event. Tsai (left) was named Asian Filmmaker of the Year at the 2010 Busan International Film Festival.